“I’ll take your ticket stubs if you didn’t like minimalism!” I yelled outside the BAM Howard Gilman Opera House Tuesday night during intermission. I was being serious—I knew that there were probably a few people who perhaps had read a preview in the Times or the New Yorker or (if they fancy themselves hip) the Village Voice about this landmark performance, and decided to go just because the tastemakers (rightly) said they should go. Steve Reich. 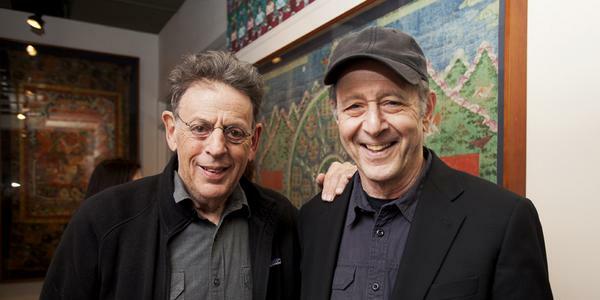 Philip Glass. Onstage together for the first time in nearly 40 years. Some ancient dispute had kept them estranged for all those years, and now they were going to be onstage, together, playing their music with their respective ensembles and also playing each other’s music. Someone read about this and bought tickets blindly, without doing any research (not even a simple YouTube viewing), maybe just because they wanted to say they went. But they had no idea what the music would sound like. And they did not like it. I saw my target. A couple in their 50s, dressed not at all conservatively, looking very much like the Brooklynite type that would enjoy this sort of momentous performance, yet their faces seemed disappointed, let down, even angered or frustrated. “If you’re not going back in I’ll take your ticket stubs” I offered. The man looked at me, and with a motion of disgust like he had just tasted something bitter, whipped the ticket stubs out of his breast pocket, gave them to me without a word, and quickly crossed the street. The folks happily smoking cigarettes next to me laughed. “I guess they didn’t like minimalism,” I joked. For this year’s Next Wave Festival, which is basically a celebration of all things amazing in modern music, dance, film, and theater every fall at the Brooklyn Academy of Music, they’re doing a celebration of the 50th anniversary of Nonesuch Records, who made a name for themselves by releasing some of the best recordings of contemporary music in the late 60s and 70s, and then basically trumping the new music world in the 80s with recordings of Steve Reich, Philip Glass, Kronos Quartet, Meredith Monk, Laurie Anderson, and other mainstays of the downtown scene. Oh and they released Wilco’s first few albums and the Black Keys’ albums, too. They’re a pretty big deal. And their album covers rock. 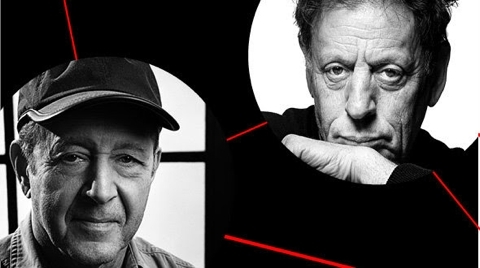 Kicking it off with three concerts featuring some of the most significant pieces of both Steve Reich’s and Philip Glass’s career seems only fitting, then, since so much of what we know of these two canonical figures of the late 20th century is because Nonesuch had the balls to record and release their music when others didn’t. For me, the choice of which concert to attend was clear: Tuesday night, featuring Reich’s seminal Music For 18 Musicians, a piece whose resplendent beauty, driving rhythms, and poignant melodies make it my favorite composition of this genre. Thanks to Mr. and Mrs. Grumpypants, I took my free seats on the mezzanine level, a few rows behind the giant afro of Reggie Watts who was taking it all in from a box stage left (all the Brooklyn cognoscenti were out for this one). This was my second time seeing the piece live, but my first time seeing Steve Reich and Musicians perform it. Both Reich and Glass had to create and participate in their own ensembles in the 70s because no one else would play their music. This group, whose average age looked to be over 50 (Reich himself is 75), breathes this music. They’ve been playing it for over 30 years, and it means more to them than just notes on the page. 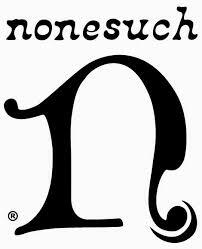 It is a living part of their musical identity. And you could hear it in their playing, dedicated Tuesday night to their late, longtime vibraphonist for this piece, James Preiss. Music For 18 starts with a pulse played on the marimba in straight eighth notes, setting the rhythmic tableau for the entire work. Additive rhythms grow and layer on top, melodic fragments enter the texture, and tremolo chords swell in the strings, bass clarinets, and singers. It’s a sound that is something of a signature of Reich’s instrumental music of the period, finding its most complete and mature expression in this piece. The work is divided into discrete sections with their own particular combination of instruments and register that creates differing overall timbres in each. I’m always shocked how, after the first three or four sections, the bass suddenly seems to fall out as the clarinets and strings all concentrate on higher registers, or how the affect changes dramatically when a shaker is added to the percussive drive about 2/3 of the way through. Towards the end I realized how this performance clearly stood out from others I’ve heard and seen. In the final pulse section, a single chord rises deep in the bass clarinets, resonating as they play a slow, even tremolo on a single note, moving their bells towards and then away from the microphones. It’s a sound that they’ve played in many sections of the piece. It’s then taken up by the strings, and then the voices, but the group somehow managed to trade the sound so seamlessly and perfectly from each instrument group to the next. It was as if it was one giant swell, starting in the bass clarinets, morphing into the strings, then transforming and fading out in the voices. Like one instrument, swaying in color and sound. The piece got four curtain calls, deservedly so. 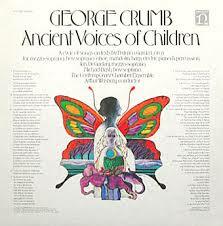 One of Nonesuch’s biggest recordings of its early years was George Crumb’s masterful Ancient Voices of Children, a virtuosic piece tailored to the unique vocal abilities of Jan DeGaetani. 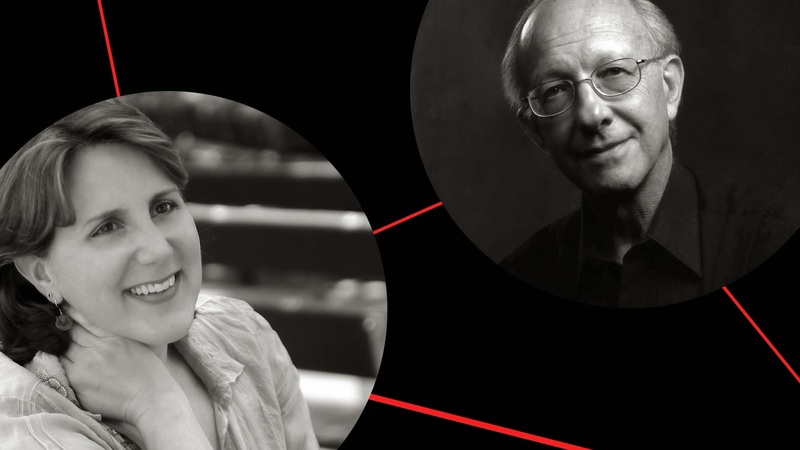 What better way to honor the late singer than to have another of Nonesuch’s amazing talents, soprano Dawn Upshaw, perform the piece alongside the original pianist, Gilbert Kalish? It was, after all, this recording that inspired Upshaw to pursue contemporary music styles, and she later became DeGaetani’s student. And just for good measure and to make sure I was extra, extra happy, they performed nine of my absolute favorite Ives songs, along with the tranquil and elegant third movement of Ives’s Concord Sonata. 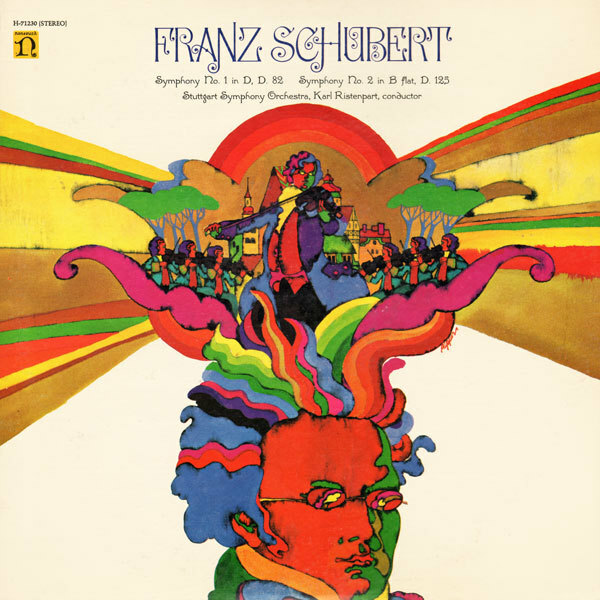 I didn’t even mind sitting through some mid-century serialism to get to that program. The serialism is question was Elliott Carter’s Sonata for Flute, Oboe, Cello, and Harpsichord, a combo that sounds as odd as it reads. Written in 1952 and only a few years after his breakthrough First String Quartet, this three-movement work features all of the cold dissonance of the postwar avant-garde without the expressivity of ultramodern, 1920s dissonance, and Carter is beginning to hint at the metrical complexity that will eventually define his sound. I found the first movement uninteresting, but the slower second movement was more intriguing, beginning with a unison and then each instrument adding one pitch as they build up the basic row, and later an impressive cadenza-like passage for the harpsichord. The third movement stayed with me the most, as the four instruments explored varying meters, creating a rhythmic polyphony that manages to remain controlled. The brilliant juxtaposition of this melancholy with the uplifting hymn quotations of Ives’s “Alcotts” movement was an inspired choice. Kalish, whose Ives interpretations are exquisite, seemed to realize this need for a quasi-religious healing after the tumult of “Tom Sails Away,” and he played the movement with all the passion and just the right amount of rubato to bring out all of the beautiful nuances of simple music making represented in this movement. Whether he tried to or not, he also brought out the strong motivic connections between this movement and the vocal melody to “The Housatonic at Stockbridge,” which came later. Upshaw’s finest and most revelatory performance was the funereal “Like a Sick Eagle.” Ives made an instrumental version of this song (as he did with many) and it features a violin sliding slowly and heavily between notes, truly giving the impression of a sickly bird. I’ve heard this sung on recordings, but I’ve never heard it sung the way Upshaw did. Her sliding tones were impeccable, sounding the most like the violin versions of any vocal rendition I know of. She knew exactly how long to stretch out the microtones between each pitch, each slide a calculated scale, not the haphazard scoops and quick glissandos of some singers. Equally astounding was Kalish’s performance on “The Cage,” playing the opening chordal vamp with a stronger sense of articulation, not just an even and lifeless presentation of six chords, and with a perfect final rolled chord, rather than the broken chord I’ve often heard. Finally the evening’s centerpiece, Crumb’s Ancient Voices of Children, was every bit as magnificent as I’d hoped a live performance of this piece would be. The star of the piece happens at the very outset: the singer wails a wordless vocalise into the open strings of an amplified piano. Upshaw and the sound team created this effect masterfully, as her voice reverberated through the wood and around the strings, activating all sorts of eerie ghost pitches and overtones. It was truly breathtaking to hear. Crumb’s music features many eerie effects, none of which ever became gimmicky or overdone. Wisps of sound seem to emanate from all over the stage in a psychedelic melange of tone color and dark mysticism, as many of the musical events in this piece suggest echoes, disembodied voices, the supernatural, and the archaic. The rest of the piece was equally impressive, from Kalish’s playing inside the piano and bending notes with a chisel, to the percussion trio who handled such a wide variety of timbres and styles with aplomb. Oboist Stephen Hammer’s solo lines, tinged with exotica that seems almost lifted from Aida (and is actually lifted from Mahler), were the perfect combination of klezmatic wailing and exacting precision, and the boy soprano part, sung by Benjamin Wenzelberg, never got drowned out, and impressively matched Upshaw’s abilities on the closing reprise of the piano interior vocalise. I’m gonna miss this city when I eventually leave. I’ll never realize how good I had it. ~ by Jake on September 13, 2014.